The secret to TriCaster TC1: it is a fully IP-based integrated production system. However, SDI connectivity is integrated into the production system and is expandable with an ecosystem of interface modules that can provide the scope of features and needs specific to your productions. 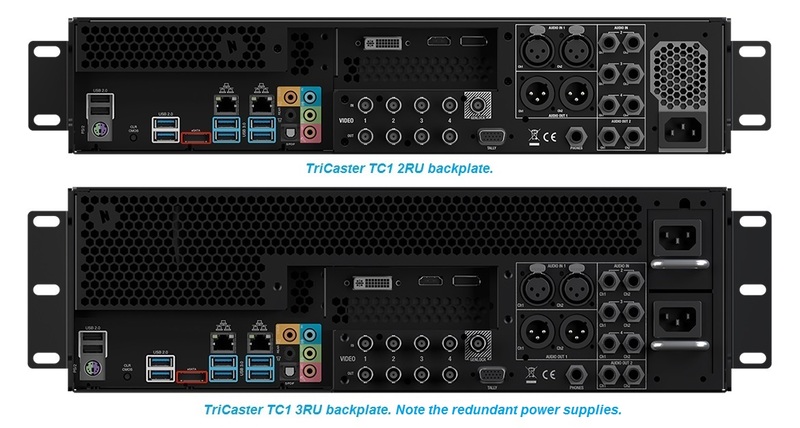 In essence, TriCaster TC1 is not just a single production system, it’s a whole line of potential production suites distilled into a set of component parts. Pricing and capability range from the classic professional entry level 3-camera SD/HD setup to network-broadcast level 16-camera 4Kp60 live production suites, suitable for covering major global sporting events. All configurations have the same multi-camera integrated live production switcher system at the core. From there, you can build up to exactly suit any set of production needs along that range with the available add-on modules. Despite the power and the complexity that can be achieved in assembling a customized workflow, there are just three components to consider. These are the TriCasterTC1 itself, the most complete integrated production system on the planet, and two NewTek Connect modules, the NC1 Studio Input Module, and the NC1 Studio I/O Module. 8 independently configurable for 3G/HD/SD-SDI inputs or outputs, or configurable in blocks of 4 as UHD 3G-SDI quad-link inputs or outputs. Important to know is that the NC1 modules use the network to interface with the TriCaster TC1. As such, they don’t need to be physically located near the TriCaster, they just have to be on the same local network. They can be wherever the cameras are that you want to interface to the TriCaster. Up to now, UHD production systems have been both substantially more expensive than HD systems, and at the lower end of these expensive offerings they have been limited to 30fps. 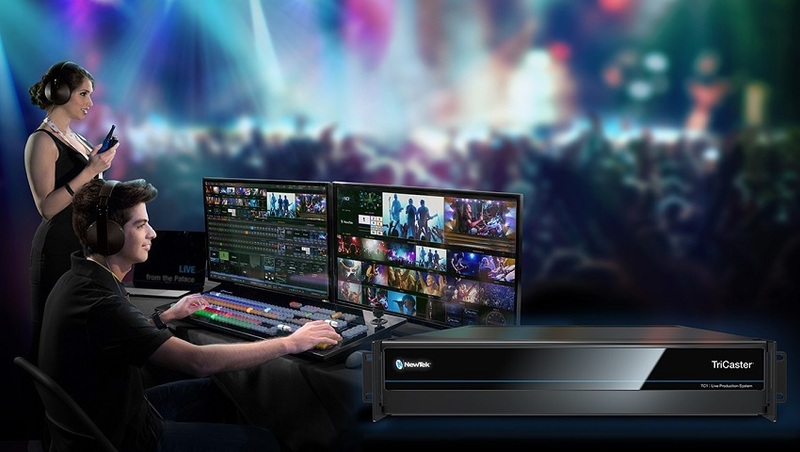 NewTek’s TriCaster TC1 uncompromised 2160p 60fps production system line comes to market at a range of prices that closely parallel the pricing of our HD line of TriCasters. This means that UHD production is within reach of people who never thought they could afford it. Their versatility means producers can buy them now to do HD production and scale up to UHD later. Or you can do UHD now. First, we will give you the recipes that let you figure out what components to put together for a given level of capability. For those who would like to look at more specific configurations, we’re also going to list a variety of the possible setups, and take the opportunity to comment on the workflow and add some tips for your consideration. Please note, we’ve described simple setups where all cameras are of the same type. In the field, teams often mix cameras of different resolutions and connection types. As long as you can get the signal to it, TriCaster will scale all inputs to the output resolution and format on the fly, with arguably the best scaling technologies in the industry. When working with UHD baseband setups, you would have just one mix output that will be your Program Out. That mix is available using 3G-SDI quad-link output from the TriCaster TC1. For more physical outputs, you can add NC1 Studio I/O Modules. Each one is capable of providing up to two 3G-SDI quad-link outputs, from the same mix as the TriCaster TC1 output. For sources using other IP standards such as RTMP, RTSP, HTTP, SMPTE 2022, or SMPTE 2110 when it becomes available, the NewTek Connect Pro line of conversion products can be used to convert other IP streams to NDI streams. 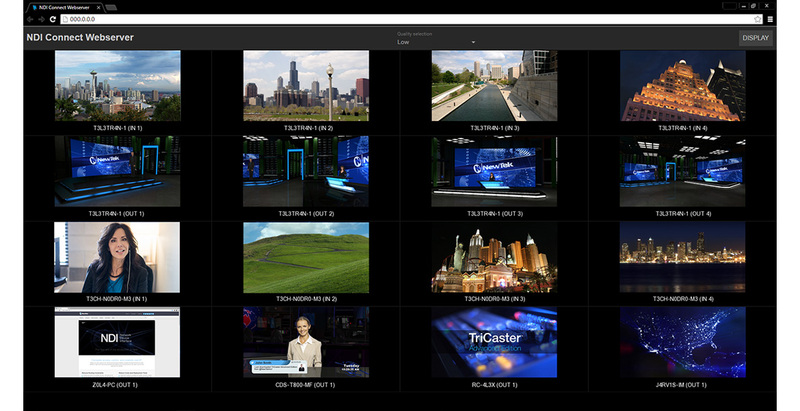 NewTek Connect Pro includes NDI Connect Webserver, which lets you build custom multiviewers for up to 16 IP video sources. So, those are the recipes. For those ready to work out for themselves the combination that will best suit their production work, that’s what you need, and you can stop here if you like. For those ready to rumble with down-and-dirty detail, let’s dive in! Given those factors, we just list the main components required, including TriCaster TC1. Note: OK, go ahead and buy that fourth camera. You know you want it. 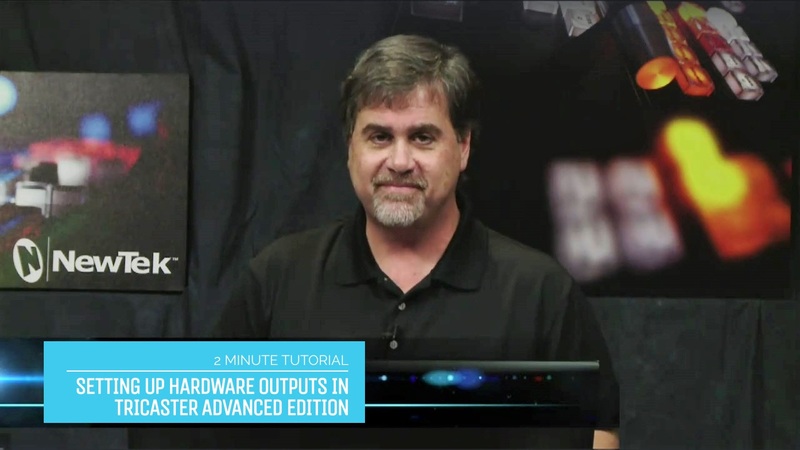 Notes: The NC1 Studio Input Module gets you to exactly 8 SDI cameras. The NC1 Studio I/O module has room to expand the number of cameras, to have more outputs, as well as to be ready to convert to UHD in the future. Notes: With the 2 NC1 I/O module option, you’ll have four connectors available that you can use as extra outputs. You are also ready to convert to UHD at any time. Note: This configuration supports up to 4 x 3G-SDI quad-link connected cameras. There is one UHD physical output via the TriCaster TC1 SDI output connectors as 3G-SDI quad-link. If needed, you can add physical outputs with additional NC1 Studio I/O modules. These will be identical to the output of TriCaster TC1. Note: If needed, you can add physical outputs with additional NC1 Studio I/O modules. Notes: Seeing a theme here with the IP studios? Just add NDI-enabled cameras and sources to a TriCaster TC1, and shake. NewTek was first to market with a native NDI camera, NewTek NDI PTZ Camera. Other companies have since brought such cameras to market, including Panasonic, PTZOptics, Marshall, and more. Camera vendor PTZOptics offers Producer Kits, and Producer Plus Kits with NewTek Connect Pro to provide comprehensive NDI capability with their cameras. NewTek also offers standalone convertors for SDI and HDMI to NDI, to attach directly to cameras, NewTek Connect Spark™ and NewTek Connect Spark™ Pro. More such converters with a variety of feature sets are now in the market by BirdDog and Magewell, and more are in development from these and other vendors. Also currently available are a number of capture cards and devices that work with SDI and HDMI cameras and that support NDI, from Yuan, Magewell and other vendors. Or for every bank of up to 8 cameras, 1 NewTek NC1 Studio I/O Module.